What does it mean to Eat Bitterness and be Asian in the United States? On April 25, 2011, Nadra Kareem Nittle wrote, Are U.S. Universities Discriminating Against Asian Students? The answer to Nittle’s question was and still is YES. In the US, since the Civil Rights era preferential treatment favored African-Americans and Latinos since Asian-Americans tend to swallow their bitterness instead of protesting violently as the other minorities have done. For example, the NAACP says it fights for social justice for all Americans. However, facts demonstrate that the NAACP tends to favor legislation that focuses on benefits for African Americans. If this were not true, there would be no need for political organizations to serve Latinos and Asian-Americans. In fact, Africana Online said, “The National Association for the Advancement of Colored People (NAACP) has been instrumental in improving the legal, educational, and economic lives of African Americans.” There was no mention of the other minorities that suffer from racism in the U.S. However, Latino Political Clout is growing in the U.S. to challenge the NAACP’s clout. The recent US Census indicated Latinos continue to become a larger ratio of the American population. With growing numbers will come political and social changes to the country. But we know that the number of votes a minority such as African-Americans, Latinos and Asian-Americans deliver during an election results in political influence, and it’s obvious that blacks are winning when it comes to clout because a higher ratio of blacks vote than whites, Latinos and Asians. For instance, in 2012, a larger percentage of blacks—66% of eligible black voters—voted than whites (64.1%). In contrast, Latino voters tend to turn out in slightly lower ratios than blacks or whites. Asians, on the other hand, are not voting like they could. According to Pew Research.org, only three in ten Asian American eligible voters cast ballots in midterm elections. As demonstrated, Asian American political organizations have a long way to go to catch up to African-American and Hispanic or Latino political influence. Is this because Asian and Chinese Americans are crippled by the influence of their cultures when it comes to increasing political influence in the U.S. since Chinese parents teach their children to eat bitterness? In China, the tradition to “eat bitter” has been passed down from generation to generation. “Eat bitter” is a literal translation of Chinese ＂吃苦＂, which refers to endure hardship including discrimination without complaint or protest. The 2014 Census 2014 census revealed that minority influence is not equal since there are about 42.1 million African-Americans, 55.5 million Hispanic or Latino Americans and only 17.1 million Asian Americans, who turn out to vote in lower ratios. Numbers count and it helps that Latinos and African-Americans do not eat bitterness like most Asians do. I think that the Asian cultural aspect of “eating bitterness” has been influenced by Taoism, Buddhism and Confucius while in the West the warlike and often-violent religions of Christianity and Islam did not follow the same path. Ai Weiwei was warned by representatives of the lawful government of the People’s Republic of China (PRC) to stop his illegal activities (according to Chinese law). In such cases, it is common to receive an invitation to tea, which may not be refused, where the person responsible for what is considered counter-revolutionary activities (or another crime against the state) is told to stop or face the full might of China’s law. China is not like Hitler’s Germany where the Gestapo showed up without warning and carried citizens off to be roasted or gassed by the millions. The facts speak for themselves. Ai Weiwei refused to cooperate, and he violated Chinese law, and he was locked up in 2011, but he isn’t locked up now because he was released the same year. The PRC did not hiding anything except where Ai Weiwei was locked up and the details behind his crime. Even in the US, the authorities are often denied the right to talk about an alleged criminal and the facts behind a legal case to the press. I’ve read in the past where some Western critics say that Chinese law is difficult to interpret and has loopholes that the PRC may use to the Party’s advantage. Since when was any law in any country easy to understand? If you aren’t an American lawyer, how easy is if to understand the U.S. legal system, and doesn’t the U.S. have loopholes that the wealthy and corporations take advantage of not to pay taxes in America? In fact, President Ronald Reagan didn’t pay any tax one year, and he said loopholes in the law allowed it. Compare the language of the 1982 Chinese Constitution to the U.S. Constitution and anyone can see the differences. In fact, nowhere in the CNN piece does it explain that no one owns land or houses in China as they do in the U.S. It’s more like a lease with the right to pass that property on to someone else in the family after death. What happens in the U.S. if the property tax isn’t paid? Does anyone really own the house and land they live on? China’s flag isn’t red, white and blue. Instead, it is red and gold. Maybe Ai Weiwei forgot which flag flies over his country or is he color blind? I’ve talked to enough Chinese to know that it’s a commonly held opinion that if the average American eats and raises children a certain way and the U.S. is the world’s only super power, then if the Chinese eat and act the same way, China will become a super power like the U.S. This flawed belief may explain what my friend (in Part 1) wrote about the spoiled children of China’s middle class being “WAY fatter” and with a sense of entitlement. It might also explain the exploding popularity of American fast food in China leading to an epidemic of obesity, diabetes, heart disease and cancer, which is parallel to what has happened and is still happening in the U.S. and the UK. To see if the United States and China are showing signs of an impending collapse, I checked Wikipedia’s Fall of Civilizations where a summary of the opinions of twelve experts are available. After reading what all twelve experts said about the collapse of civilizations, it was obvious that there may be several causes that bring on a collapse. However, when three of the twelve experts all have different opinions and all three of those opinions are happening in America and starting to happen in China, I think that is a good reason to be concerned. One thing we can be sure of, lobbyists from the fast food and sugar industries will find a few so-called experts to disagree—a lot. 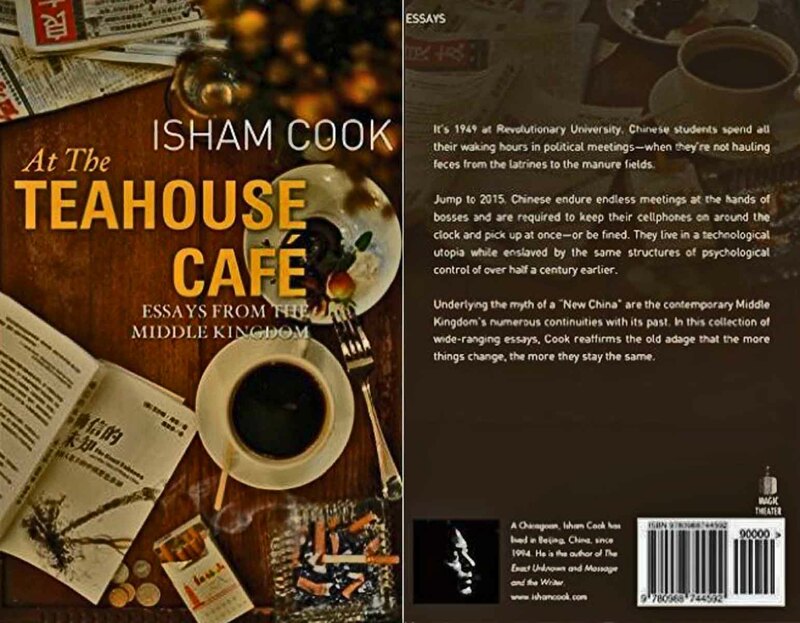 At The Teahouse Cafe, 15 essays by Isham Cook, delves into East Asian Culture and a number of related issues and topics. Isham Cook has been based in China since 1994, more than twenty years. Writing with the perspective of an American expatriate who has lived in East Asia that long offers readers a view from someone on the ground, and I think that Cook does not disappoint. The topics of his 15 essay range, for instance, from China’s Great Firewall, the complexity and meaning of Chinese “face”, music, China’s education system to the aversive racism of the term “yellow fever”—something that I’ve also been accused of. Cook goes into detail of why men are attracted to specific women of any race, and I think he is right. The reason why I Hi-Lited that one phrase while reading the book was because it described what is happening in the United States. Since 2001 and President G. W. Bush’s No Child Left Behind Act, and then President Obama’s attempt to seize control of America’s public schools with the so-called Common Core State Standards and the high stakes test meant to rank teachers, fire them and close public schools, that quote describes what is happening in the U.S.
You have been gone too long, Isham. The U.S is under attack by a flock of oligarchs and autocrats that might even shock or impress the Chinese Communist Party because of their tactics to mislead and fool as many people as possible in the U.S. In fact, while China is struggling to lift as many of its people out of poverty as possible, what’s going on in the U.S. is increasing poverty at a frightening pace, especially among children. Anyway, Isham Cook delves deep into many topics about China, it’s culture and people based on his own experiences living there and interacting with the Chinese. He discusses the bad and the good and doesn’t spare the United States either, and I think that is a good thing because far too many ignorant Americans think the U.S. can do no wrong. My own interaction with the Chinese pales in comparison. My wife is Chinese, her family is Chinese—mostly born and raised in China during the Mao era—and I’ve been to China nine or 10 times but never lived or worked there, and my last trip was in 2008 when the air pollution in Shanghai contributed to a sinus and respiratory infection that sent me flying home several weeks earlier than planned to recover. 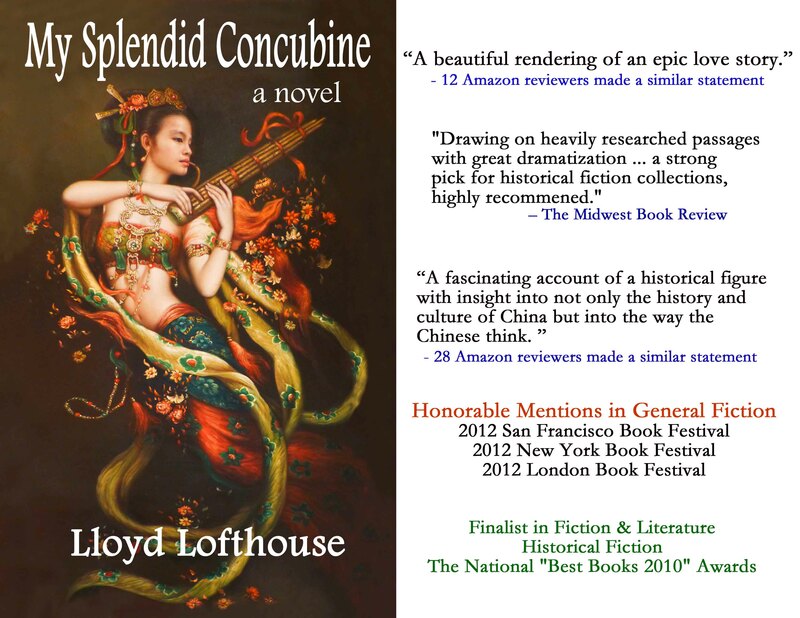 I recommend At The Teahouse Cafe for anyone who wants to get a serious, intellectual dose of the real China from an American who has lived and worked there as long as Isham Cook has. This book should open your eyes as long as your thinking isn’t a closed, dead-end street. This morning I read a piece in the Huffington Post that reported Kansas welfare recipients will be unable to get more than $25 per day in benefits under a new law sent this week to Republican Gov. Sam Brownback’s desk by the state legislature. To make life worse for people who live in poverty, the state also issues that welfare in the form of a government-issued debit card and required that they take the money out of debit machines that charge 85 cents for each withdrawal after the first one in a month—a windfall for banks and whoever owns those ATM machines but less money to buy food. The number of Kansans receiving benefits has also declined from 38,000 in 2011 to 15,000 last year, state data show. It is no secret that Republicans (GOP) have waged war on people who live in poverty for decades—and recently GOP representatives have blamed poverty on the poor. Many in the GOP hate Social Security, Medicare, Obamacare, unemployment insurance, food stamps, abortion, marijuana, women, and even sexual orientation. In addition, the GOP and the Democrats also have no problem handing out money to private sector corporations. For instance, the U.S. auto industry, banks, and Wall Street firms. In fact, there are elements in both parties who are handing our children to corporate Charters supported by hedge fund billionaires, the Walton family and the Bill and Melinda Gates foundation so those few individuals grow wealthier off taxes that were originally intended to support the transparent, nonprofit, democratic public schools. How much does the state and federal government give away to corporations? The answer is more than the country spends on food stamps for people living in poverty, who are far from being lazy, because Recent studies show that 49% of all food stamp participants are children (age 18 or younger), and about 50% of the adults have jobs that pay mostly poverty wages, and, in 2013, for instance, the average SNAP client received a monthly benefit of $133.07, and the average household received $274.98 monthly—compare that number with the money corporations are getting from their state and federal welfare programs. The New York Times spent 10 months investigating business incentives awarded by hundreds of cities, counties and states. Since there is no nationwide accounting of these incentives, The Times put together a database and found that local governments give up $80.4 billion in incentives given away each year compared to about $75 billion in food stamps to people who live in poverty, so they have enough money to eat and not starve. Don’t forget, when the GOP blames the poor for their poverty and cuts food stamps to families, as Arkansas is doing, the GOP is waging a war against almost 20 million children living in poverty who can’t work to feed themselves. However, according to The Times, the number of corporate welfare programs is 1,874. Have you heard Republicans or Democrats call for cuts to corporate welfare? You might want to click on this link from the New York Times that leads to an interactive map and discover how much corporations are earning off federal and state welfare programs that tax payers are financing. The New York Times identified 48 companies that have received more than $100 million in state grants since 2007. Some 5,000 other companies have received more than $1 million in recent years. In fact, Politifact.com reports that it’s mostly true that 9 of the 10 poorest states are ruled by the GOP. PolitiFact.com also reports that it is mostly true that 97 of the country’s 100 poorest counties are in GOP ruled states. 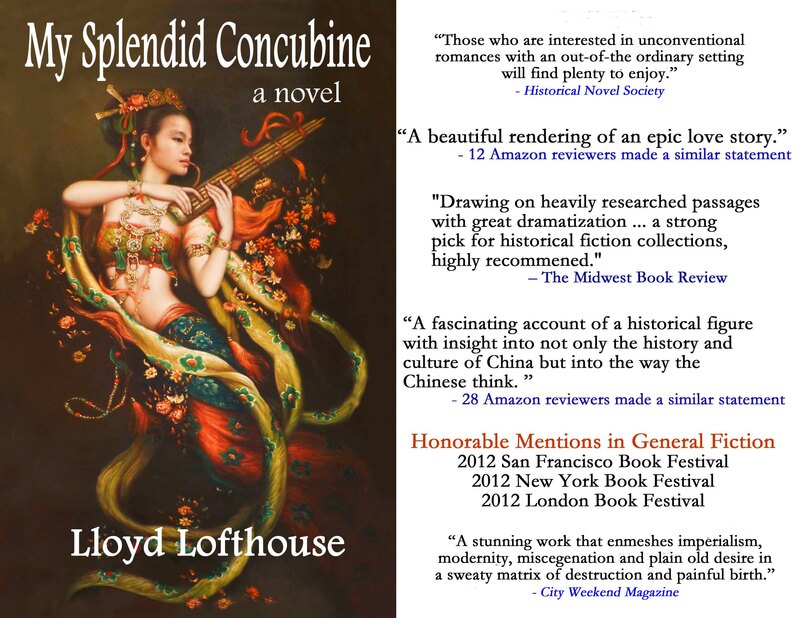 The cultural revolution in China that took place between 1965–1976, and the one being waged in the United States today have one thing in common: the public schools and the teachers who taught in them were attacked in China back then (but not today—after Mao died in 1976, China, under new leadership, started rebuilding its public schools and supporting its teachers) as they are being attacked in the United States today, because a transparent, non-profit, public education system where teachers have the freedom to express without fear what they think about current issues to the children they teach, who then talk to their parents, is a threat to the few who want to control the destructive cultural changes taking place, and it doesn’t matter if the cultural war is being led, for instance, by America’s Bill Gates, the Walton family, the Koch brothers or Mao Zedong in China. To drastically alter a culture, the few in power who are behind the changes must silence their critics and create an environment of punishment and fear, and this means silencing the teachers.